For those who, like me, had no idea what options meant or what GCSEs were then talk to your child’s teachers – visit the school, find out all the information relevant to your child’s year 10 and 11 options. Last week I attended the parents’ options evening at my son’s school for year 9 students. It was an eye-opener. I had tried many times in the past to get my head around the UK state school system for the high school level but it isn’t really until you’re in the thick of it that you begin to have a clear understanding of what your child will go through. It is intense. Much more so than what I remember from my high school years in America. Even though I did a few AP (Advanced Placement) classes at my high school, I really don’t remember it being as structured as this. It certainly did not feel limiting as we took a very broad range of classes and never really had to choose in the same manner as my children have to do here in England. As far as I can see (and I’ll update as we go), there are certainly benefits in that children can focus on core subjects that they enjoy and do well in. I think this is a great motivator. It’s also a solid starting point for when they go on to college (which is what I would term as the final two years of high school but here it is college and a completely different system) and have to choose a very narrow line of study. This then would help determine which University they could apply to as most of them specialize in particular and specialized courses. It’s all starting to make sense! However, there are a few drawbacks (maybe it’s down to the particular school) in that there are only three language options. Italian is not one of them. And they have to choose between History and Geography – they don’t take both unless they choose the one not chosen for the main choice as one of their additional choices. And it does look like they might not get their first choice in the additional choices. We shall see about that. To me, this does seem quite limiting at this stage in their schooling. My son is excited about computing, food tech and possibly business studies. He’s chosen French for his language and is doing double science. Of course they have to do English Language and Literature, Math, Science and PE (but PE is not examined). What I am most impressed with is my son’s positive attitude, his recognition of the hard work ahead, his forward planning on how to tackle learning and studying (which is called ‘revising’ here) and his determination to do well. He is way more prepared and way less scared than I am! The UK system of specialization is very different from the US model. The UK approach is good for preparing future ‘researchers’ (in the traditional UK model of university education) who have a deep knowledge of a very narrow field– but even so, it doesn’t allow for much breadth in interdisciplinary studies. I personally think that the US model allows flexibility for future contingencies. The broad range of courses in the US educational system from High School to University allows students to make changes in career choice down the road when the child becomes 30, 40, or 50 years of age. Many of the job options that our children will have as future adults have not yet come into being, (making it hard to ‘prepare’ for them in High School) so having a range of course preparations, diverse interests and talents can serve them well and make them more adaptable to future job markets. I am in favor of a broad flexible curriculum, and I can say that a US education has served me well personally. I understand the confusion, and if I ever have children, will be experieincing the US system and making my way through it all … I was a teacher in the UK, so I can see how all the options/ways of doing things can be confusing to someone experiencing it as an expat! Meghan this post doesn’t half take me back!! I remember when I picked my gcses I felt scared as it was limiting, or I felt it was. Looking back now at how things pan out, it is to really all that limiting!!! From there I then moved to America and went to high school, I felt that in comparison I was still very much a child in high school compared to how I felt I was being treated in the UK. Perhaps that was because the choices I had to make!? 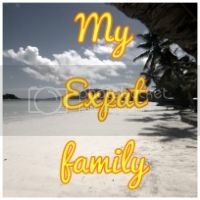 Thanks for sharing this with #myexpatfamily Meghan a really great read!!! Wow so you experienced both types of high schools and systems. I remember loving my last two years of high school it was great fun. I do fear that from what I’ve seen other kids go through with GCSEs and all the exams the my children will not enjoy their final two years of high school here (and actually it will be the same as grades 9 and 10 so not even the last two years). Perhaps ‘college’ will be more fun? I know school is not supposed to be all fun and games, but I do feel they are very young to be making such choices which will have a direct impact on what they can study at University. Thanks for doing #myexpatfamily! It is a minefield. I took 10 options and still felt limited so I studied some other subjects (geography, Spanish) in my own time using my friend’s text books. She would go over her notes with me and this helped her revise. Ours are a way off options choices yet but as my husband is a headmaster we can make sure they do the best for their future careers. Obviously, I went through the English system and what I noticed about American schools is that high school was basically teaching children how to get into college. There were no options that you could take, take an exam and go out into the world to get a job. That, to me was limiting. The school system in England, at least when I was in it, geared you for the world, not only college and I got my first job in a lawyers office when I was 17. Wow that’s amazing that you got a job in lawyers office when you were 17. An American high schooler would have still been at school – I know that here in the UK, you could stop school at age 16 at the end of high school if you did not want to enrol in college (which would be equivalent to the last two years of American high school). But I didn’t feel that all high school was to prepare me for college. Yes, there was an element of that because I expressed my interest in going on to college (university). But I knew plenty of kids who didn’t want to and they were able to take vocational classes and did just fine. I was also able to take driver’s ed which was a hugely practical course for preparing me for life. They do not offer that here in UK schools. I also took first aid and babysitting courses which again, prepared me for life. From what I see of the British system so far, the options they must choose steer them in the direction for college and university too. But in a more specific way – they will already know what they want to study at University because of the options they chose. For example, my son won’t be able to change his mind at the college level if he decides to do Geography because he did not choose Geography in year 9 (grade 8). It just goes narrow much more early in the child’s education than it does in the States. When I went to college, I took a broad range of classes and did not have to declare my major until the end of my second year. They are just two completely different systems and I am trying to do the best for my children that I can. Also, look at the comment made by expat in the UK at the top – the flexibility of taking a broader range of classes prepares kids for life as well, not just college. I went to school in Scotland, so the system is slightly different, but I have to admit I never saw it as limiting. I was able to do the subjects I enjoyed and not do the ones I didn’t. I have 9 Standard Grades (GCSE equiv.) 5 Highers and 3 SYS’s (which are done in 5th and 6th yr respectively, instead of the two years of an English A-level). That was a fairly broad range, and a gradual specialisation as I got closer to knowing what I wanted to do at Uni. It’s so interesting to read different thoughts on it, and should we choose to stay in the US through middle and high school I will have to learn more about the system here! And depending where you live in the US, high school can be very different. My school district had 2 high schools- one had periods (55 mins long classes with 5 mins passing to get to the next class) and one had mods (5 min passing classes are from 52 to 44 mins long). And each school has different classes that the other school doesn’t have, etc… such as my high school has a business department, more world languages, more choices in sciences, and language arts, the arts… but the other high school has a tv station and a planetarium- it is a newer building. Sounds just as complicated as here then. The private schools are very different to the State run ones in that their terms and school holidays match more with the US school schedule. And they also follow a completely different curriculum. Most state run schools are very similar across the board but it does depend on the area/city/town you live in.